Rarely do I stray away from a core group of Christmas movies during the holiday season. Movies such as Elf, The Santa Clause, and my personal favorite, National Lampoon’s Christmas Vacation, are classics that I tend to stop on while browsing through the channels. When I heard that Kurt Russell was going to play Santa in the Netflix exclusive film The Christmas Chronicles, I decided to give it a shot over the weekend. Without giving away any spoilers, I have to say Kurt Russell makes one cool, straight talking Santa. Fans even get some classic Kurt Russell car chasing/action movie scenes. Lets not forget a fun Star Wars reference too. Fans seem to enjoy it, as the movie received 20 million views within the first week. You can clearly tell that the card they used for this scene is a reprinted prop. Its far from the real thing. 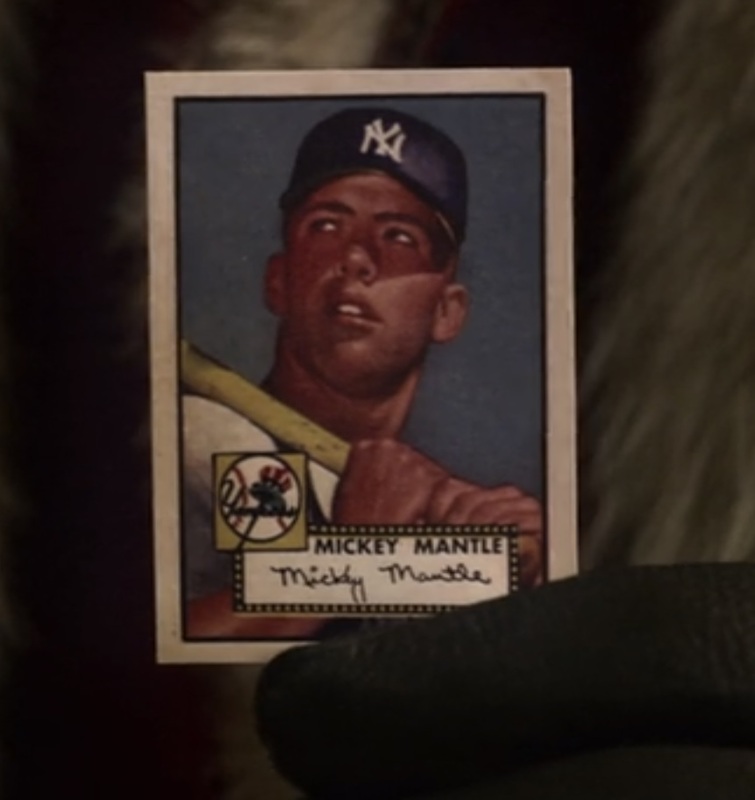 That’s not Mickey Mantle’s rookie card either. Its his first Topps card, but his 1951 Bowman #253 is his actual rookie. I have two theories as to why this choice was made. 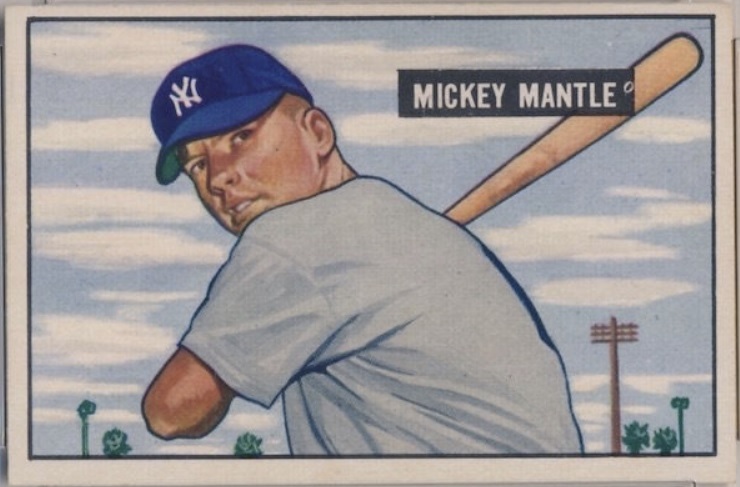 One, I believe the 1952 Topps Mickey Mantle #311 card is much more recognizable to the general public. You hear people refer to it as his rookie card all the time despite that not being true. Or two, they just didn’t know any better. I know that I sound like an internet troll pointing out these imperfections. But I had to do it. I find it incredibly fun to see sports cards randomly popup in films. Its Kurt Russell as Santa. Go watch The Christmas Chronicles. 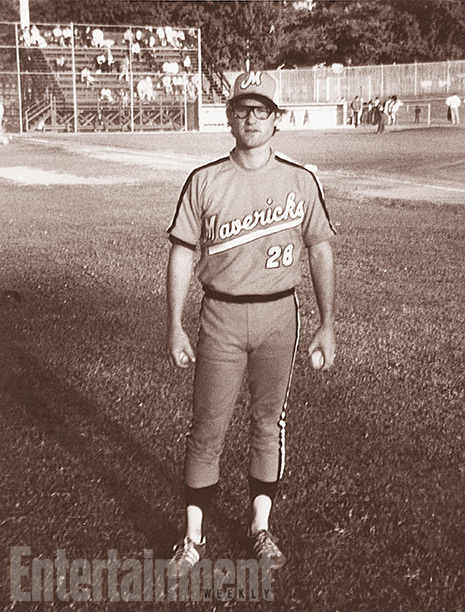 FYI – Kurt Russell played minor league baseball until an injury ended his career in the 70’s. He’s had some cards made for celebrity-themed products like Americana, Threads, and Celebrity Cuts. 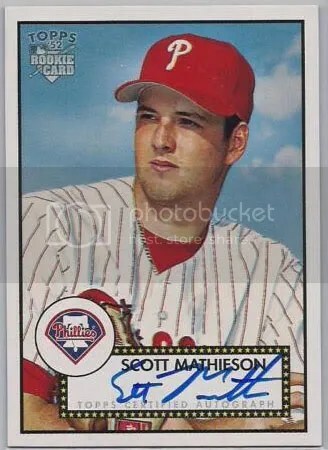 An autographed card of him in one of his minor league uniforms would be perfect for Heritage Minor League Baseball and/or Archives.